No. If — if that’s a new expectation, I’m not aware that as a peer reviewer you’re supposed to disclose that sort of thing, but I — I don’t recall that I did. Hardin also testified that he has never published on asbestos in the peer-reviewed or non-peer-reviewed literature. Our in-house editorial team thoroughly examined the review process on this article earlier this year, to ensure it had followed Committee on Publication Ethics guidelines (the standards to which we expect all our journals to adhere to). The Editor-in-Chief made his assessment of the manuscript based on four individual review reports, at a ratio of 3:1 from academia and industry. These reviewers were all selected independently. On completing the investigation in this case, we were satisfied that the submission and review process had followed all the standards we would expect. “An updated evaluation of reported no-observed adverse effect levels for chrysotile asbestos for lung cancer and mesothelioma” has been cited once, according to Clarivate Analytics’ Web of Science. Should Hardin’s ties to the asbestos industry be considered a conflict of interest? I’d definitely regard giving expert testimony as a conflict of interest that should be declared by a potential reviewer (or an author). This is also in line with the views of many journals, such as PLOS which specifically notes that “acting as an expert witness” constitutes a non-financial competing interest. In other words, it doesn’t matter whether or not you were paid for such services, just testifying suggests a strong allegiance or interest which editors deserve to know about. In my opinion, a peer reviewer who has as an expert been working for a particular industry on a specific issue should at least disclose to the journal his ties to the industry whose interests can be affected by the publication of a paper on that topic. And journal editors should exclude such peer reviewers from reviewing a paper on that or a related topic, or at least ensure that there are several other more independent reviews of the paper. If for one reason or another they think it is important to get a review by an expert with such a conflict of interest, they should assess that review much more critically. They should then also provide an opportunity to the authors to respond to the peer-review before making a publication decision. But the more cautious approach would be to exclude reviewers with such a clear COI. It’s up to the editor to decide whether a conflict of interest is so great as to disqualify the reviewer, but, whatever the editor decides, s/he obviously needs to be made aware of it by the invited reviewer…If a reviewer’s failure to disclose a relevant interest comes to light after publication the journal should look at the review comments again. Hardin told us he believes that editors approach him as a peer reviewer “because they are aware of my prior employment with the government and my current consulting relationships.” (According to Hardin’s bio, he was deputy director of the National Institute for Occupational Safety and Health and an assistant surgeon general in the U.S. Public Health Service). Cardno ChemRisk has been engaged by numerous companies involved in asbestos litigation, and two of the authors (Drs Pierce and Finley) have served and may serve again as experts in asbestos litigation. …Six of the published papers referenced in this article were evaluated by the authors in their capacity as expert witnesses while consulting with Kaiser Gypsum Company Inc. and United Gilsonite Laboratories. Last year, the authors criticized a 2015 paper by researchers at Harvard that found the chemicals added to flavor e-cigarettes may harm health, arguing the chemicals may not be as dangerous as the paper claimed. I agree with wager “It’s up to the editor to decide whether a conflict of interest is so great as to disqualify the reviewer…” but they should do it before inviting the review. You know, like research, like awareness of controversial issues, like doing something for the preposterous fees that they charge authors and/or readers. The problem assumes greater importance when it comes to competing theories in medicine and especially, my own area, medical nutrition. A editor is supposed to recognize a controversial subject and appoint reviewers from both sides of the controversy. Failure to do so constitutes de facto (or intentional) bias. The perfunctory, often inappropriate — take what you can get when you get people to work for you for nothing — guarantees that the party line will be heard and there will be little input from minority opinions. And, if you do object, you are — if you are lucky — told to submit a letter to the editor. If they take it — no guarantee of publication — the original author has the last word and it is, in any case, like an objection in a court of law: even if sustained, the damage has been done. And, of course, as they head off the ability to publish small journals, they coalesce into larger conglomerates. Is pomegranate juice any better than other fruit juices? Bet you have some in your fridge with claim written on it. Chattering middle-classes can down enough of it. PNAS did issue a correction for the earlier paper. PHARMACOLOGY. For the article “Beneficial effects of antioxidants and L-arginine on oxidation-sensitive gene expression and endothelial NO synthase activity at sites of disturbed shear stress,” by Filomena de Nigris, Lilach O. Lerman, Sharon Williams Ignarro, Giacomo Sica, Amir Lerman, Wulf Palinski, Louis J. Ignarro, and Claudio Napoli, which appeared in issue 3, February 4, 2003, of Proc. Natl. Acad. Sci. USA (100, 1420–1425; first published January 13, 2003; 10.1073/pnas.0237367100), the authors should have noted that Louis J. Ignarro developed and markets Niteworks, a dietary supplement of L-arginine, L-citrulline, vitamin E, and vitamin C. Dr. Ignarro is also a member of the Scientific Advisory Board of Herbalife, the distributor of Niteworks. chattering middle-classes cannot down enough of it. When we introduced open peer review at the BMJ we had several examples of peer reviewers failing to declare conflicts of interest. Because the reviewers were named others could inform us of conflicts they had not disclosed. It’s one of the many advantages of open peer review. Once we’d established that the reviewer did have the conflict we published a statement to that effect. Below is my letter to the journal. Little provided in the way of answers but it sure seems like n obvious violation of the policy was ignored. I am attorney who represents people suffering with mesothelioma as a result of asbestos exposures. Oftentimes, my clients inhaled asbestos from brakes and clutches and suffer mesothelioma many years later. Your journal recently (2016) published Pierce, et al., An updated evaluation of reported no-observed adverse effect levels for chrysotile asbestos for lung cancer and mesothelioma, Crit Rev Toxicol. 46(7):561-86 (2016). As Critical Reviews is aware, the original article, Pierce, et al., An Evaluation of Reported No-Effect Chrysotile Asbestos Exposures for Lung Cancer and Mesothelioma, Crit Rev Toxicol. 38(3):191-214 (2008), was funded by Ford Motor Co., General Motors, and Chrysler Corporation. What was not disclosed was that the article was arranged and paid for by lawyers as part of their asbestos litigation defense. Dr. Dennis Paustenbach, corporate representative for Chemrisk, testified that Chemrisk billed $78,000 for the publication. The author’s acknowledgment is somewhat misleading because it fails to disclose that the article was part of Ford’s litigation defense. I recently learned that at least one of the peer-reviewers for Pierce, et al., An updated evaluation of reported no-observed adverse effect levels for chrysotile asbestos for lung cancer and mesothelioma, Crit Rev Toxicol. 46(7):561-86 (2016) had serious conflicts of interest that he failed to disclose to Critical Reviews in Toxicology. Dr. Bryan Hardin testified on Thursday, February 23, 2017, that he served as a reviewer for this publication. Dr. Hardin further testified that he did not disclose his extensive conflicts of interest, including testifying many times for Ford Motor Company and numerous other companies facing liability for chrysotile asbestos products. Given Dr. Hardin’s near complete lack of expertise (outside his thriving litigation consultation practice) regarding asbestos matters (he did not work on asbestos at NIOSH, he has not published on asbestos disease matters in the peer reviewed or scientific arena), one is left to wonder how he was chosen to peer review the publication in the first place. When I asked him how he was chosen, given his lack of obvious expertise in the area, he did not know. 1. How was Dr. Hardin chosen as a peer reviewer given his lack of professional experience with asbestos issues outside of litigation? 2. Were the authors responsible for identifying peer reviewers? 3. Can Informa and Critical Reviews in Toxicology assure readers that the other reviewers, if any, were not also asbestos litigation experts for the defense? 4. 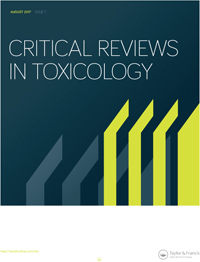 Because the article is based on the earlier Pierce, et al (2008) publication, can Informa and Critical Reviews in Toxicology assure readers that the reviewers of Pierce, et al. (2008) were not also asbestos litigation experts for defendants? While a person with no academic record has been chosen as reviewer? The issue of conflict of interest is secondary to this question. I agree with the point that if an editor is too sensitive to potential conflicts of interest in a niche field, all those with suitable expertise to review may be disqualified. Balancing potential conflicts and associated biases may be a more pragmatic editorial strategy than strict avoidance of expert reviewers with disclosed conflicts. The journal Critical Reviews in Environmental Toxicology , was the subject of a 2016 investigation by, the Center for Public Integrity (“Brokers of Junk Science?“) It was in the news again recently following litigation releases of correspondence between the editor and authors of a review exculpating a chemical product from causing health problems. While journal editors should be very thorough while appointing a reviewer, the onus of declaring any conflicts of interest is on the individual who receives an invitation to review. In such cases where the journal might have no way of knowing about any conflicts of interest before the paper reaches publication, they can get the paper re-evaluated and if needed retract it. There are several niche fields where it is tough to find reviewers that have absolutely no connection with the study. In such cases, the editor should decide whether an academic should be appointed as a reviewer or not, whether any specific instructions should be given the to reviewer who is suspected of having any connections, and whether more reviewers should be appointed to such papers. I agree that it was the reviewer’s (Dr. Hardin’s) responsibility to disclose his clear conflicts based on the journal policies. One is still left to wonder how the journal chose Dr. Hardin as a reviewer given his lack of non-litigation expertise on the topic of asbestos. I asked the journal this question but received no answer. Perhaps this is one of the journals that allows the authors to suggest reviewers? Given the vast number of real experts who have studied asbestos for their careers, it would not have been difficult to find a reviewer who is not directly involved in the litigation that the authors in question profit from. If the COI policy means anything, why won’t the journal even acknowledge the failure to disclose the conflicts as a problem and submit the article to a second review by a real expert who does not consult for the same industries on the same topic? Chris Mebane’s post raises the issue — wisely — that the journal is closely associated with industry. The editor in chief, Roger McClellan, has done some asbestos litigation consulting. Bloomberg published a little article about another instance of suspect research published in Critical Reviews in Toxicology: https://www.bloomberg.com/news/articles/2017-08-09/monsanto-was-its-own-ghostwriter-for-some-safety-reviews Apparently, Monsanto internal people funded and secretly edited an “independent review” of the carcinogenic potential of Roundup weed killer. Thankfully, the litigation process in the US allows for occasional looks behind the curtain. Unfortunately, it takes injuries or problems serious enough to lead to a lawsuit before we get to see what the consultants are doing. Isn’t there a better way to ensure scientific integrity when public health is at risk?